Lake Pleasant is adjacent to Peoria in the West Valley and is one of the closest lakes to most areas in central, northern and western portions of Greater Phoenix. It is the second largest lake (reservoir) in Arizona, and offers fishing, boating ramps, boat rentals, picnic areas, an RV resort, scenic overlooks, hiking trails and camping areas. A variety of workshops, hikes and lectures for all ages are offered by Maricopa County Parks. From time to time events or concerts are held here, like the popular 4th of July fireworks celebration. 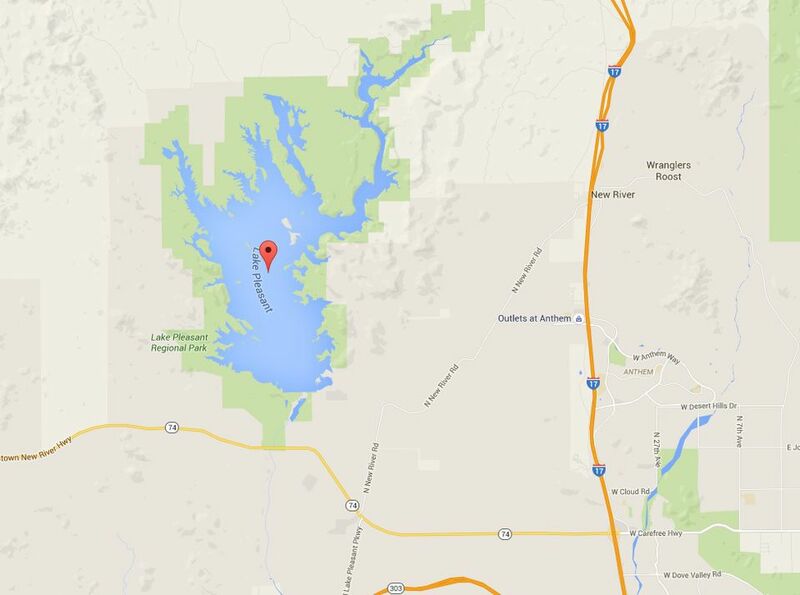 There are two marinas at Lake Pleasant:Pleasant Harbor Marina (east side) and Scorpion Bay Marina (west side). Both have full-service marina facilities. Take a short scenic drive, a boat trip or stay the weekend! Take I-17 to Carefree Highway (SR 74). Exit Carefree Hwy. and travel west 15 miles to Castle Hot Spring Road. Travel north to Lake Pleasant Regional Park entrance. Drive north on I-17 to the Carefree Highway (74) which becomes Morristown New River Highway. Go west about 10 miles to Castle Hot Springs Rd. and turn right (north). Take the first right, Lake Access Rd. Continue to Peninsula Rd. and turn right. The marina will be on your left about 1/2 mile ahead. Take I-17 North to Carefree Highway (74), turn (left) west and drive about 11 miles to 87th Avenue. Turn right. Pleasant Harbor Marina will be ahead 1 mile on your left. See driving times and distances from various Greater Phoenix cities and towns to Peoria.